If experience or research hasn’t taught you already, coaching is a complex and problematic profession. For all its glorified peaks, benefits and gratifications a labyrinth of puzzles, issues and obscurities lie in wait beneath the surface; waiting to come to fruition at the most challenging of times. For years literature has examined the numerous delicacies embedded within the coaching domain, despite an acceptance that blank spaces inherently and inevitably form part of its science. Indeed, if all theories and problems had an answer to them, coaching it would seem, could be a simplifiable and replicable phenomena for generic application. Have you ever been presented with a situation or encounter in your career where you had to rely purely on your instincts? A problem that your coach education courses and years of study would not cater for? A problem that rears its ugly head and demands an instant reaction on the spot, before you’ve had the opportunity to seek counsel? I’m sure one, if not many spring to mind! These are just some of the blank spaces or “grey areas” that are a depiction of coaching’s complexity; they are questions that do not possess prescribed answers; they are problems that no theory or book will answer for you; they are problems that one learns from tackling head on in the moment. After a whirlwind few months sport, and indeed politics have been presented with an impressive array of problems to deal with; from Brexit and the US Presidency, to FIFA and the FA poppy dispute, to Pep Guardiola’s stand-off with Yaya Toure and his representatives, to Louis Smith’s questionable video, to Sam Allardyce’s farcical one match tenure. Have I missed any?! Donald Trump’s ascension to the Presidency has thrown the United States and the world into a political grey area that has many complexities, ambiguities and unknowns. It will be interesting to see how it is negotiated. Before we get into establishing how to negotiate the grey areas, I thought I’d share with you one of my encounters from a few years ago that certainly acted as a benchmark moving forward. Whilst I do not tend to socialise with the guys throughout the year, preferring instead to maintain a boundary of professionalism, the function put on for them was an opportunity to round off the intense pre-season they had impressively endured. It was a chance to celebrate the hard work, efforts and dedication that they had engaged with thus far heading into the season – I wanted to demonstrate my thanks and appreciation to them and having an enjoyable drink for a few hours with them seemed an appropriate enough way to convey it on this occasion. Our first game of the season was four days later, and it was on the departing bus that one of the quieter members of the group made me aware that one of our players was struggling with illness. It didn’t take the Spanish Inquisition to understand that he was hungover, possibly still even under the influence of alcohol. As it happened he had decided to continue the celebrations from four nights ago through into last night. So here I was, faced with an issue my coaching courses and books hadn’t covered, and one of my most promising players the culprit. My reaction? Although not wanting to cause too much of a scene, I did not do a fantastic job of hiding my emotions. Surprise, anger, frustration and anxiety were at the forefront of my mind. How on earth had the player got themselves into this state? Did they not realise what today was? Have other players conformed to something similar and are staying quiet? Upon reflection, a large proportion of my frustration, whilst being directed at the player was actually at myself – how had an issue like this gone beneath my radar? Why (and how) had the culture we’d instilled (or tried to) failed to pre-empt this? Back to the moment however – I rang one of our players who hadn’t been selected for the game, and told him to pack his kit and to be ready outside in 20 minutes. Next I marched up to the front of the bus and instructed the driver to return to our departure point. Upon our return amid a few curious and incredulous faces, I told the offending player get off the bus, sort himself out and be ready to see me in the morning whilst the team helped our new addition into the bus. Looking at the team they seemed disappointed; they knew the player in question was a big loss and would severely harm our chances of securing a positive result that day (and it did). Without going into too much detail with regards to that conversation the next morning, there were some thought provoking themes to come out of it which taught me, as a coach, some important rules to follow should anything similar arise again. Whenever you are faced with a challenging or delicate situation, inevitably your values and philosophies are thrust into the spotlight. How you decide to act and resolve the problem is largely determined by them, so it is vital we have a clear and robust set of ideals that guide our thinking. How strong you are in sticking to them can often be the difference between negotiating the issue or not; if you bow down to the problem and concede ground you are, in a sense, accepting the action, behaviour or incident. 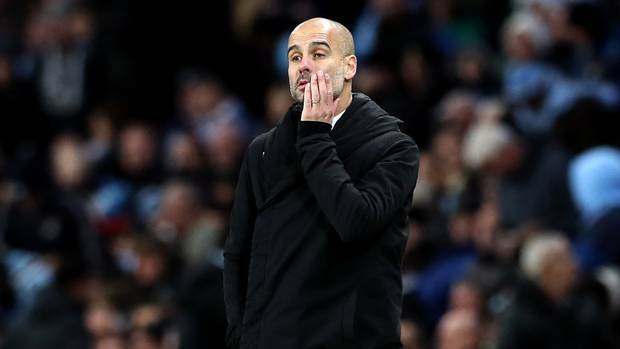 Pep Guardiola was categoric in saying that Yaya Toure would not play for Manchester City until he and his representatives had apologised for their unacceptable actions against him. Despite a media storm, global criticism and scrutiny, Pep was adamant. So soon into his managerial reign, his credentials would be severely compromised in the eyes of the world and his players if he gave way. Two and half weeks passed until eventually Toure and his agent conceded and issued a public apology, with the unspoken message very much being one of “ok, we understand that you are the boss and that is not acceptable”. Whilst we as coaches do not want to rule with an iron fist, extreme circumstances sometimes result in extreme actions. Sometimes you need to go a step backwards first in order to move forwards as a unit. Be prepared to stick by your values, and in most cases your players will stick by you. Whilst this in part bares a similar resemblance to the point made above, it paints the picture in a slightly different way. Sometimes the norms of your culture or society dictate certain behaviours and actions; some more acceptable than others. In hindsight, do I wish I had caused less of a scene with the rest of the squad in dealing with my player? In some ways yes. Do I regret being harsh on them, and not allowing them to take part in the game? Absolutely not – I would not be doing my job as a coach if I did. Ironically enough, the toughness, the frustration and the sanctions imposed in the weeks that followed were genuinely issued with the best interests of the player, and the team at heart. If that carried the risk of compromising my relationship with the player for the long term, then that was a loss I was prepared to take and live with. What I couldn’t live with, was standing by and doing nothing to address the problem. Having no regrets can sound cliqued at the best of times, but when negotiating the grey areas it certainly rings true; make sure you address the problem how you see fit, and not what you think is pleasing others. The more experienced you are, the easier it becomes to find a way of addressing the problem. As mystifying some events can be, there is usually a reason behind them. In the heat of the moment, it can be easy to deal with the issue and move on without really stopping to delve a little deeper. Possibly the most underrated aspect of the whole experience, was indeed the meeting with the player the following day. Though still frustrated at the loss from the day before (and their behaviour), 24 hours enabled me to bury some of the raw emotion and ‘red mist’ and have a constructive conversation. Whilst in no way condoning his behaviour, I came away from our discussion with a better understanding of the player’s thought processes, perceptions and attitudes that govern his actions. Consequently, the coaching team and I were able to reflect and implement some improvements to our environment that aimed to prevent a similar occurrence from happening again. Being able to understand your players is undoubtedly a pre-requisite when it comes to coaching, but people are complex beings! I certainly do not pretend to know each and every one of my players inside out; that is unrealistic. Being able to recognise and understand their motivations, drivers, worries and inclinations can be pivotal in helping them fulfil their potential in addition equipping them with essential life skills. Sometimes even the most difficult players can teach you something. Leave no stone upturned to better your environment. So there you have it – hopefully an example of a grey area within the realm of coaching. Have you had an experience of problem that you wish to share and discuss? By all means feel free to share it with us. Remember that the complexities within coaching, whilst at times hugely frustrating, are what make the profession the exciting and challenging enterprise that it is. Its ambiguities and delicacies should be celebrated and welcomed in our pursuit to fill in the blanks.